Heart communication is essential to the success of any relationship. 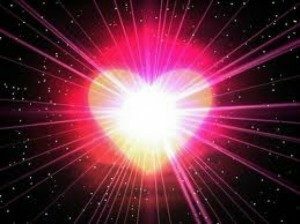 To create extraordinary soul to soul relationships you must go deeper and know the four chambers of your heart and what each chamber is telling you. Most people enter a relationship with fear and trepidation. To help us overcome our fears we need to enter the relationship from a more conscious direction. The only way to do this is through a strong connection with our higher self. When we have this connection, we enter any relations with our heart open. Most people are motivated by idealism, and projections of romance. These motivations come from our ego. They do not give us a real connection with the other person. When you listen from your heart it allows you to be yourself. It allows you to be seen and to see the other person for who they really are. When you can see another person without all the filters of wanting to see them the way you want them to be, then you will have true romance that lasts. Communicating from the heart is how we can begin to truly love one another. It is how we can experience one another and create a more harmonious and empowered experience in our relationships. In order to listen from the heart, we must understand that the heart is made up of four chambers. Each of these chambers needs to be open and involved in order to have the kind of soul to soul relationships we all desire. Let’s start with the upper right chamber. This is the chamber of your inner child. This is usually the part of your heart that gets initially involved in any relationship. For example, you may wonder, “how did I ever get involved with this person?” It’s because this is the chamber of your heart that was your initial contact. The child in you that saw something fun or wonderful in the other person. You were enthusiastic and excited. This is the part of you that really needs to stay engaged if you want to have a positive relationship. It is this part of you that is eager, receptive, open, excited and most importantly available. If this chamber of your heart isn’t open, then the relationship is not going to work. If this chamber of your heart is closed, it will affect everyone you are in a relationship with where it’s in a romantic relationship with your spouse, your children, even with your coworkers. Open your heart and start listening to this chamber of your heart. You need to start being available to your inner child and taking care of this important part of you. Allow yourself to be heard, comforted, reassured, and have fun. Do things that make you laugh. That is your responsibility, not someone else’s. Now let’s move to the lower right chamber which is the clear heart. Your inner adult. This is the part of you that asks you to be clear, honest and take responsibility for the quality of your life. If your heart is not clear you take everything very personally. I go there sometimes, and I know that when I do my relationship will suffer. If I stay in that unclear victim kind of heart space the relationship never gets better. When your heart is not clear, your ego is very much in control. You are so afraid of being hurt that you refuse to take responsibility for anything. You cannot be clear or objective. You say things like, “Why is this happening? I have nothing to do with it.” When this happens, you need to question your own choices and intentions. Look at your own behaviors and honestly ask yourself what you are doing that is making you so unhappy. The clear heart is the heart of responsibility. You can’t have healthy, spirited or uplifting relationships if your heart isn’t clear. The next chamber I want to cover is the upper left chamber. This is your wise self. Your ancient spirit. It is the spirit of compassion, understanding and forgiveness. If you’re not accessing this part of your heart you are not going to have the type of fulfilling relationships that you long for. When this chamber of the heart is closed you don’t have the power to forgive. You don’t have the compassion to accept another person without conditions. Most of all you won’t have the willingness to understand the other person and then the relationship isn’t going to go very well. You need to check in with yourself and ask; “How forgiving am I? Can I really see another person with compassionate eyes?” This is something that many people struggle with. They often show up with all kinds of crazy behaviors to protect themselves because they cannot forgive. They hold grudges and blame their partner for everything that goes wrong in the relationship. Now let’s move to the lower left chamber. The courageous heart. This is the part of your heart that asks you to get past your discomfort, past your defenses, and resistance. It’s the part of you that invites you to be more available, vulnerable, authentic, and truthful with the people you are in relationship with. This part of your heart when open allows you to share your mistakes and take responsibility for what you did wrong. You will be able to acknowledge your upsets and your needs so that you can unapologetically ask for what you need. This will give you courage and allow you to be available to your partner. The four chambers of your heart are the foundation for creating quality relationships. When you understand each chamber and recognize when it is closed, and then take the necessary steps to open it up then you will truly have extraordinary relationships.